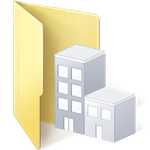 Some teams have access to the new team folder structure. If you see a purple folder icon with one person on it on dropbox.com, you have the new team space. Learn more about the team space. If you don’t have this purple folder, your team has standard team folders. Keep reading to learn more. Admins can create team folders in the admin console. If you're a team member and you'd like a new team folder, contact your admin for help. Team folders are shared with groups and are the hub of content for a team. The group is assigned a role (either as editors or view-only) to the team folder. If you need access to a team folder you're not a member of, contact your admin to be added to the relevant group. Note: Dropbox Business team admins own and manage team folders. Learn more about managing team folders. All content inside your team folder is automatically shared with anyone who can access the team folder. If you're an editor, you can share content in your team folder with collaborators outside of your group. Sign in to dropbox.com with your work account. Locate the folder you want to share. Type the email or name of the person you'd like to invite into the textbox. Names in blue are members of your team. Names in yellow are not members of your team. The people you invite must accept the invitation before they can access the content inside the folder. Note: Team admins may limit your ability to invite people to folders inside team folders. When you restore a folder that's inside a team folder, the sharing permissions for that folder are also restored. If a folder was shared with Janey Smith before it was deleted, it will be shared will Janey Smith after it's restored. If you don't want previous members to have access to the folder after you restore it, restore the folder then remove them from the folder. Editor: Your group can edit the team folder and all the content inside it. View-only: Your group can view the content in the team folder. The team admins can give you edit access to folders inside the team folder. Can I move a team folder? No, team folders are in the same location for every member: in your main Dropbox folder. Can I rename folders inside team folders? Yes, you can rename folders inside team folders. Note: If a folder inside a team folder is renamed, all members of the parent folder see the new name. However, people who are only members of the folder inside the team folder continue to see the original name. Can I share a link to a team folder? No, you can't share a link to an entire team folder. If settings for the folder allow it, you can share links to content inside a team folder. After a team folder is added to your account, that folder automatically syncs to any of your connected devices. You can use selective sync to prevent folders from syncing to your devices. Learn more about selective sync. How do I know if I’m using a team folder? How do I get access to team folders? Team folders are available to Dropbox Business teams. If you'd like to use team folders, you can upgrade to Dropbox Business. Dropbox Business accounts are designed for teams and have a minimum of three users. 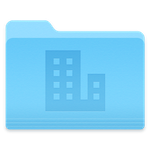 A team folder is automatically generated when you create a Dropbox free team. The team folder is shared with every member of your team. When a new member joins your team, the team folder is added to their account. All content inside your team folder is automatically shared with the entire team. You can share content in your team folder with collaborators outside of your team. Can I rename or delete a team folder? No, team folders can't be renamed or deleted. If you’re only a member of a folder inside the team folder, you can rename or delete the shared folder. These changes only apply to your account and don’t affect other members of the folder. How do I remove a team folder from my connected devices? You can use selective sync to prevent folders from syncing to your devices. No, you can't share a link to the entire team folder. If settings for the folder allow it, you can share links to content inside a team folder.